* The Little Builder-Whimsie 30 piece Block Set gives another level to block play by adding two Whimsical Wheels. 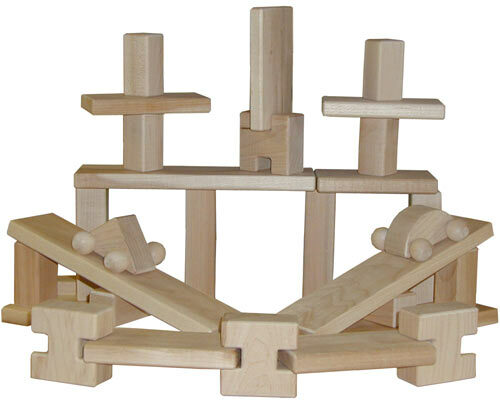 * This 30 piece set combines Traditional Unit Blocks, our Little Builder shapes, and two of our Whimsical Wheels. * The set includes: 8 Half Pillars, 4 Pillars, 4 Double Flats, 8 Unit Flats, 4 Notched Half Units, Larry Large and Sally Circle. This product is shipped from our warehouse in St. Paul, MN, USA.